During our trip to Northern Arizona, my wife, son, daughter-in-law, and I went on some interesting hikes near Flagstaff that were both educational and enjoyable for hikers of all ages. 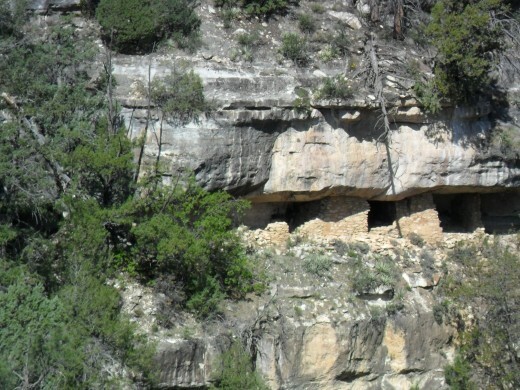 Hikes in Walnut Canyon provide a glimpse into the life of the cliff dwelling Sinagua people. The volcano hikes included journeys to a lava flow, an extinct volcanic cinder cone, and a descent into a lava tube (an underground cave). The hikes provided breath-taking scenery and stunning examples of the plants and even occasional wildlife common in these areas. While there are countless things to do in Flagstaff and many more hikes than these, we liked them because they were easy, educational, relatively short and appropriate for all ages. Two of the hikes (Lava Flow Trail and Walnut Canyon Rim Trail) are at least partially handicapped accessible. Lava River Trail, an easy 1 mile hike for all ages and abilities, includes a paved 1/4 mile handicapped accessible loop. 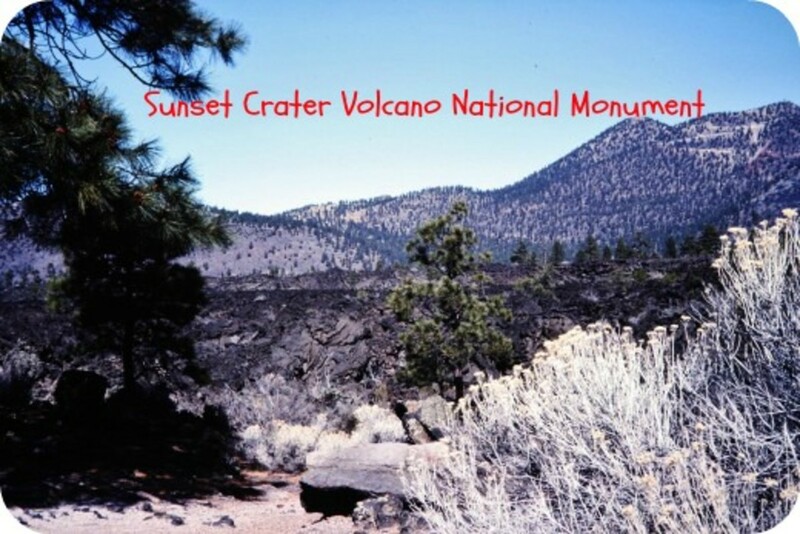 Named for the red cinders of a final eruption, Sunset Crater Volcano National Monument is located about 15 miles north of Flagstaff, AZ off U.S. Route 89. 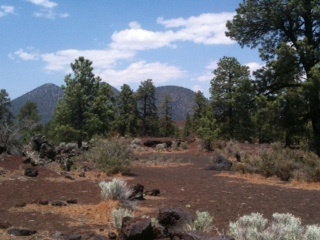 The Lava Flow Trail takes you to the base of Sunset Crater and not into the crater itself. Because of the severe erosion from hikers climbing the face of the cinder cone, this area was closed in 1973, restored, and is now off limits. After entering the park, stop at the Visitors Center for information, an orientation, and to pay your fee. 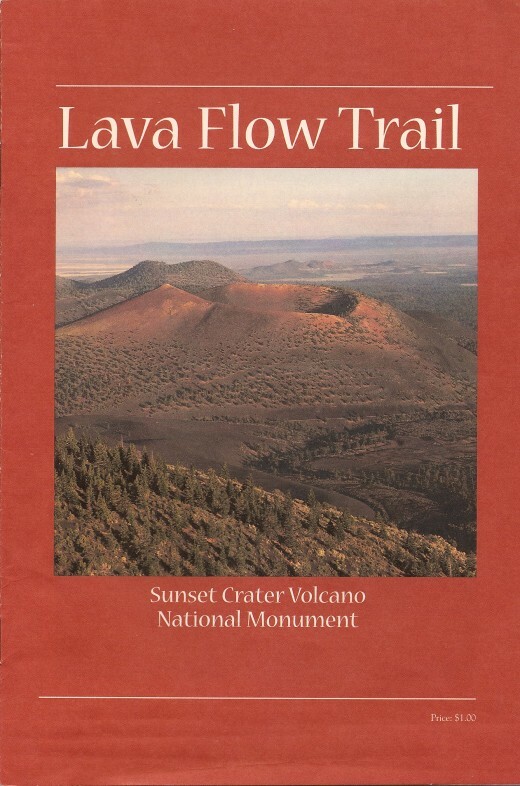 Pick up a Lava Flow Trail Guide book for $1. The guide is matched to the numbers that are at variuos stops on the trail. From the Visitor's Center, the drive to the trail parking lot is about a 3 miles. Along the way you pass the massive Bonito Lava Flow. This lava flow, up to 100 feet thick and extending about 1.6 miles, is just one of the lava flows that broke out from a vent in the base of Sunset Crater Volcano. 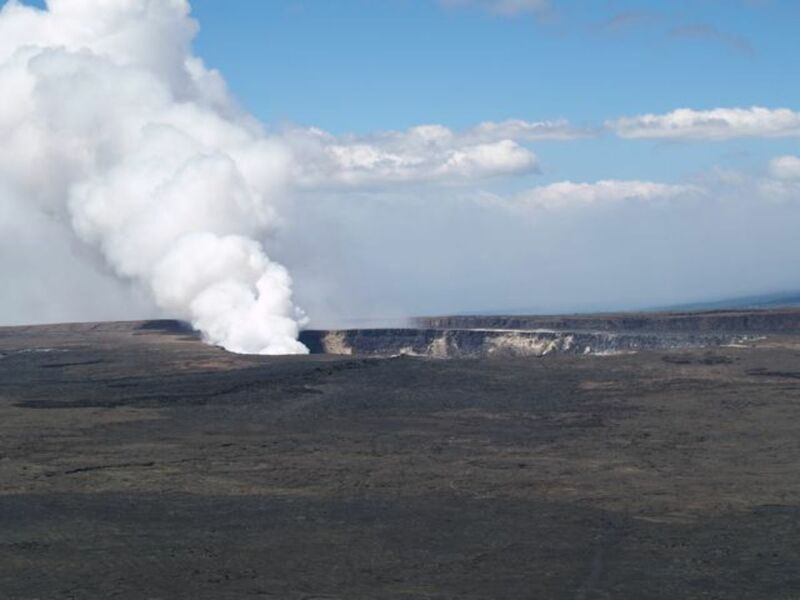 The Lava Flow Trail includes a small portion of this as well as the cinder fields at the base of the volcano. The trail is a relatively flat, self-guided walk coordinated with the guide book. The total trail length is 1 mile with an elevation change of only 50 feet. The first portion of the trail (about 0.25 miles) is flat, paved and handicapped accessible. The remainder of the trail loop is black cinders and includes a short down- and uphill climb. The cinders are similar to small, loose gravel. Sturdy, closed-toed shoes should be worn while hiking. 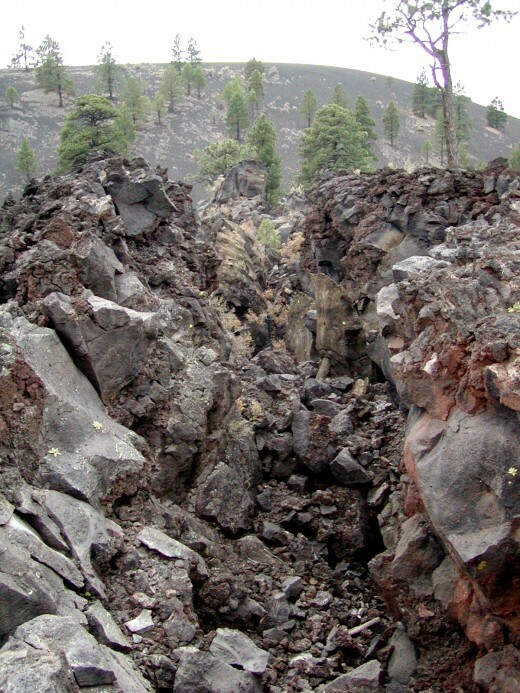 Along the trail, in addition to the Sunset Crater Volcano cinder cone, you will see a sculpture garden of squeeze-ups (partially cooled lava pushed up through cracks like toothpaste), spatter cones (miniature volcanoes), and a lava tube (now closed to hikers because of collapse inside). 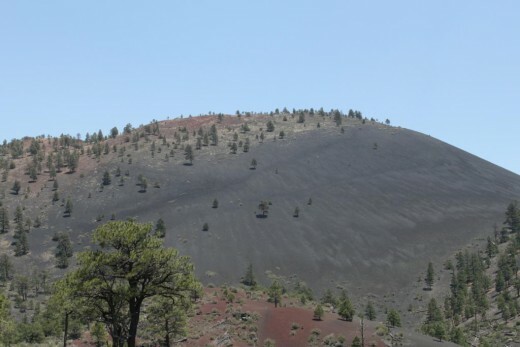 Sunset Crater Volcano was the most recent of the eruptions in the San Francisco volcanic field, occurring less than 1000 years ago (between 1040 and 1100 A.D.). A relatively easy hike for all ages and abilities, a water bottle, sunscreen, good shoes, and the guide book are all you need for an informative adventure. Restroom facilities are available adjacent to the parking lot. While in the area you can also visit Wupatki National Monument and the prehistoric pueblos of the Sinagua people that lived in the area at the time of the eruption. 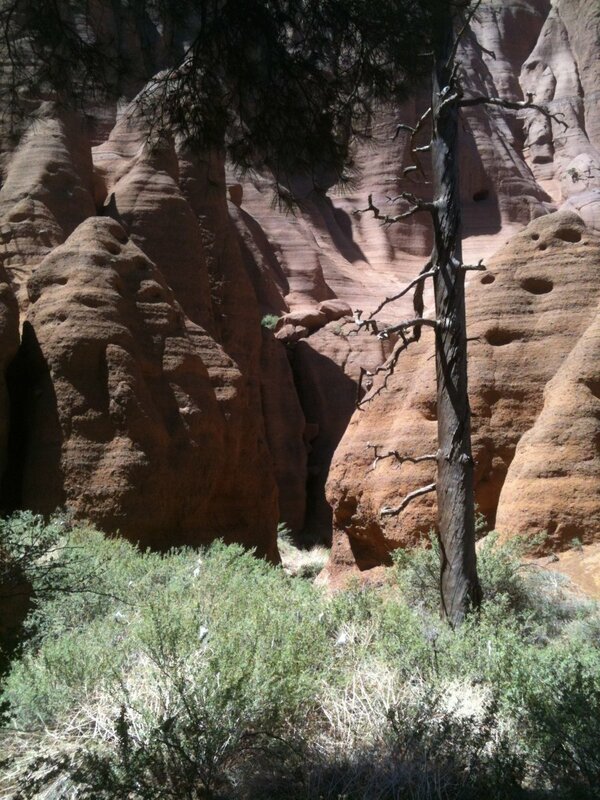 Red Mountain Trail takes you into the cinder cone of an extinct volcano (but not into the crater itself). This hike was the furthest from Flagstaff and, in fact, we stopped on our way out of town as we headed to the Grand Canyon. 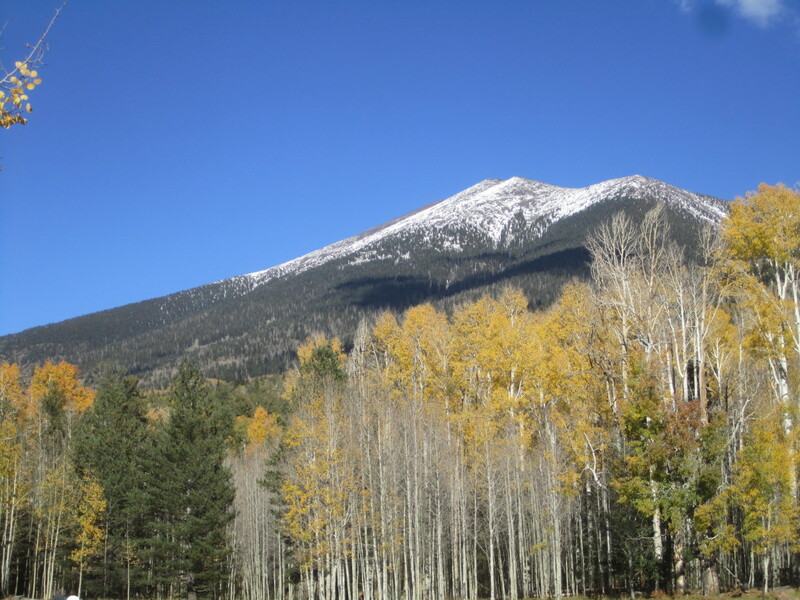 The trail is located approximately 25 miles northwest of Flagstaff on Highway 180. Turn left (west) at mile marker 247 onto FR 247. There are no facilities at this trailhead. 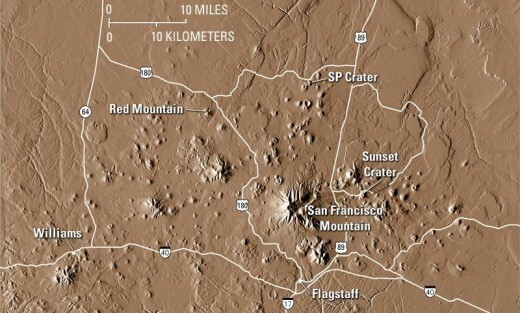 Rising 1,000 feet above the surrounding landscape, even from a distance, you notice that Red Mountain is not your typical symmetrical cinder cone. Missing a portion of its wall, it is "U" shaped. 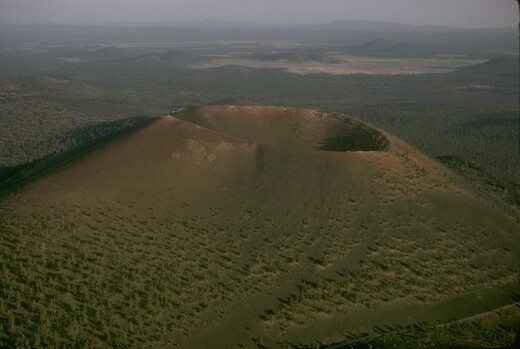 The large westward facing opening reveals the interior of the cinder cone. In its northeast flank is a large natural amphitheater. The actual crater is on the backside of the amphitheater. Red Mountain Trail is an easy to moderate hike, 1.5 miles long (3 miles round trip) with a gentile rise of 300 feet in elevation over the course of the trail. 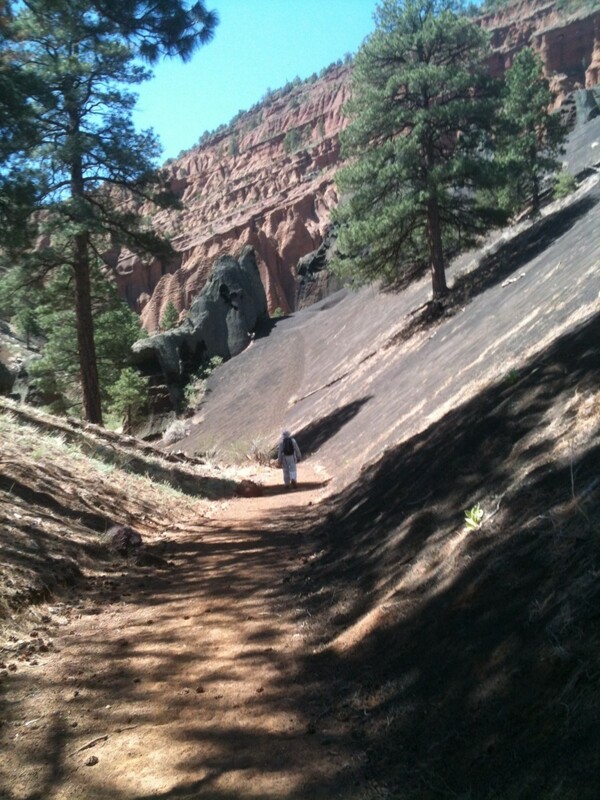 This hard sand trail makes for easy walking through a pinyon-juniper pine forest. At 1.2 miles, cinder shoulders guide you toward the interior of the mountain. Soon, you come upon large black lava formations that seem to guard the entrance into the cinder cone itself. A climb up a 6 to 7 foot ladder (with 2 sturdy handrails) and you are inside the beast. Wind and water erosion have created an amphitheater with a sheer cliff back wall and a collection of out of this world shapes, ridges, cracks, and crevices. Ten to 20 foot pillars or "hoodoos" dot the amphitheater floor (See photo at beginning). You can explore the "hoodoos" or just enjoy the view, colors, and the effects of sunlight on the rock formations. A few trees provide a shady rest spot. 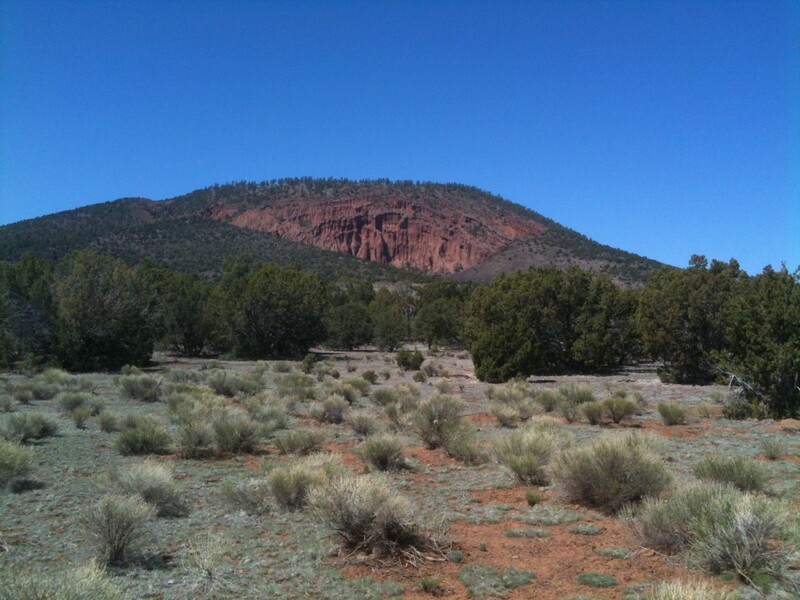 GPS: N35° 32' 11.8314", W-111° 51' 23.328"
Get more information at Hiking to the Hoodoos in Red Mountain Amphitheater. 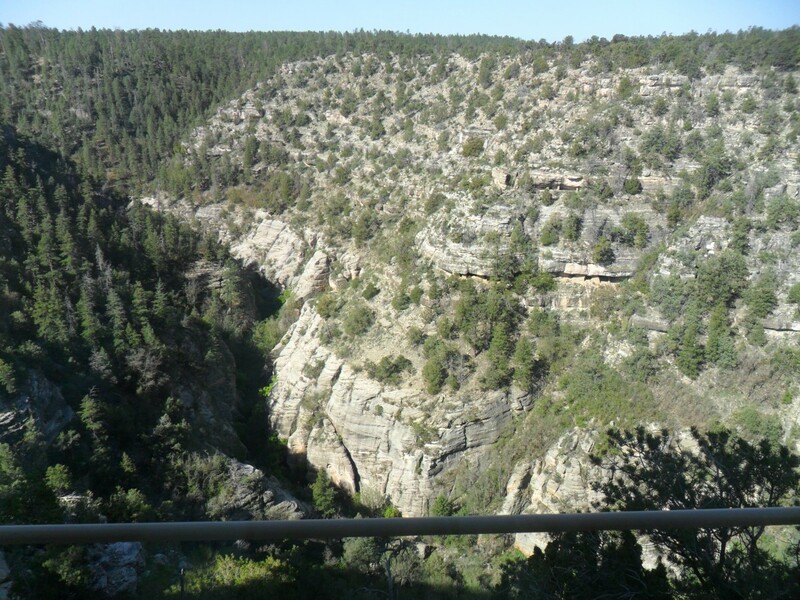 Named for the Arizona black walnut trees that can be found on the canyon floor, Walnut Canyon National Monument is located 10 miles east of Flagstaff on Interstate 40 at exit 204. The canyon is 20 miles long, 400 feet deep, and 1/4 mile across. There are 2 public trails and both begin at the Visitor's Center (fee required). The trail, an 0.9 mile loop, descends 185 feet (240 steps) in a winding path of switchbacks with interspersed steps. At the bottom of the stairs (but not the bottom of the canyon) is the island loop. 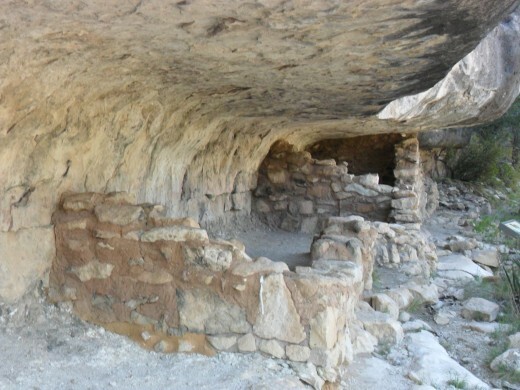 This second portion of the trail passes 25 cliff dwelling rooms and affords views across the canyon of additional pueblos. Relatively flat, this section does involve a few steps up or a few steps down. The return to the Visitor's Center requires a climb back up the 240 steps, but there are plenty of benches to rest and enjoy the views along the way. For those that don't relish the climb of the Island Trail, the 0.7 mile Rim Trail is flat, partially paved and easily handicapped accessible on the paved portion. Besides the overlooks at the Visitor's center and the end, there is one mid-trail overlook. While you cannot see the cliff dwellings up close from this trail, it does offer beautiful panoramic views of the canyon. 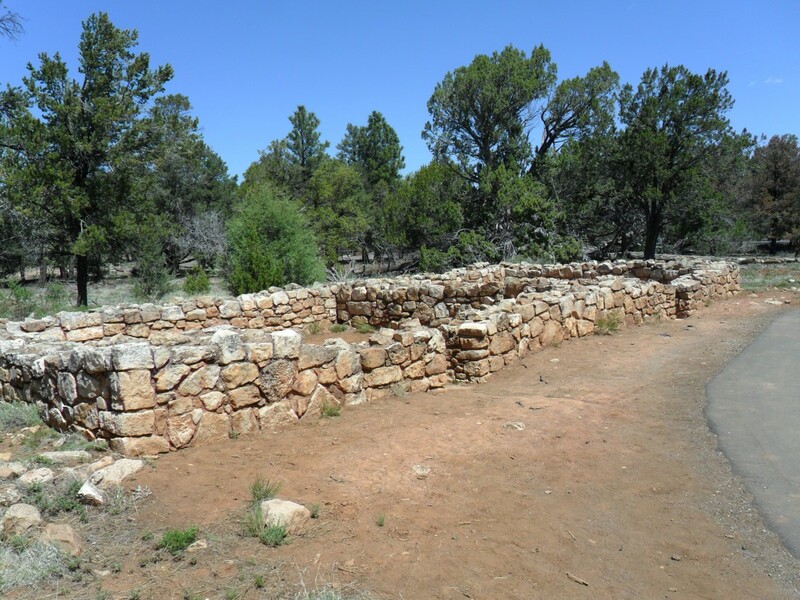 A side trail leads to pueblo and pithouse ruins and a picnic area. In addition, there are 2 ranger-guided hikes. A strenuous 3 hour Ledge Hike and an easier 2 hour Ranger Cabin Walk. 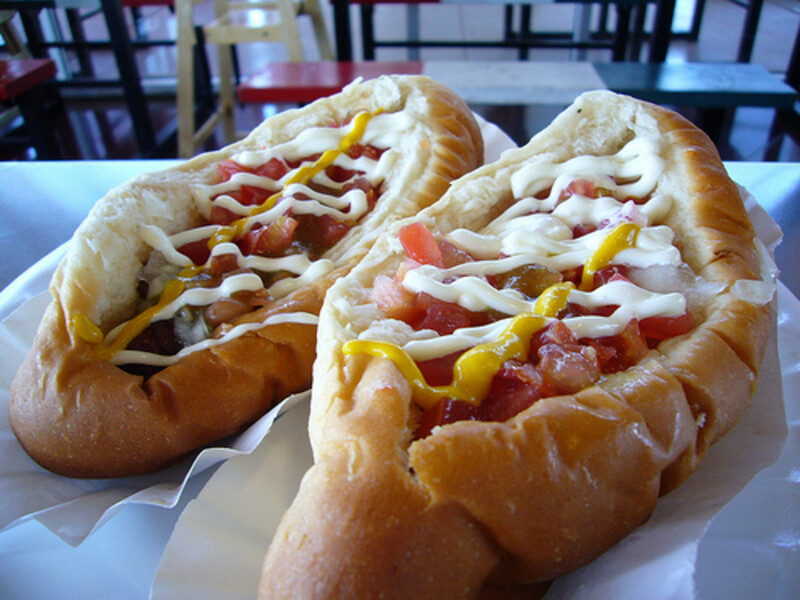 These are offered only on certain days and reservations are required. Along both trails are a variety of plantlife that include pinyon and ponderosa pines, prickly pear cactus, claret cup cactus, and banana yucca. 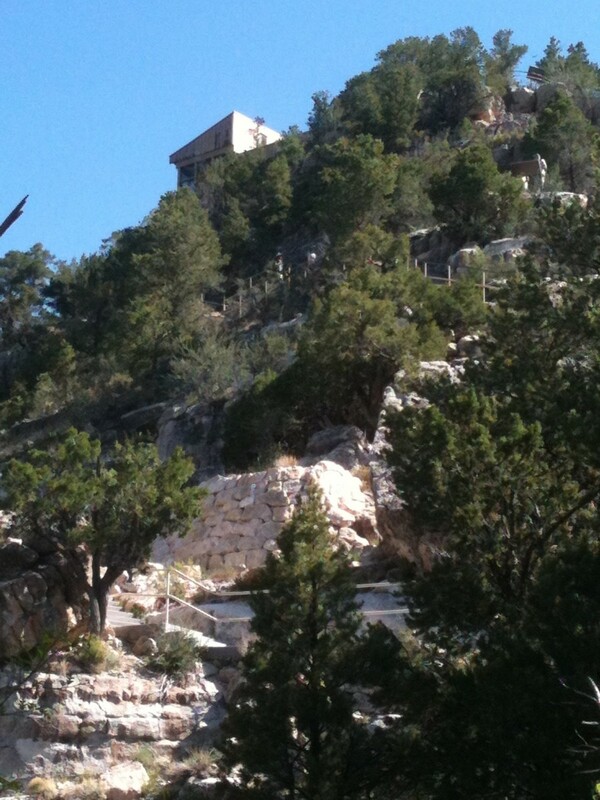 For more information, check out, Walnut Canyon National Monument, Flagstaff, AZ. The Lava River Cave is located about 14 miles northwest of Flagstaff on Highway 180 in the Coconino National Forest. 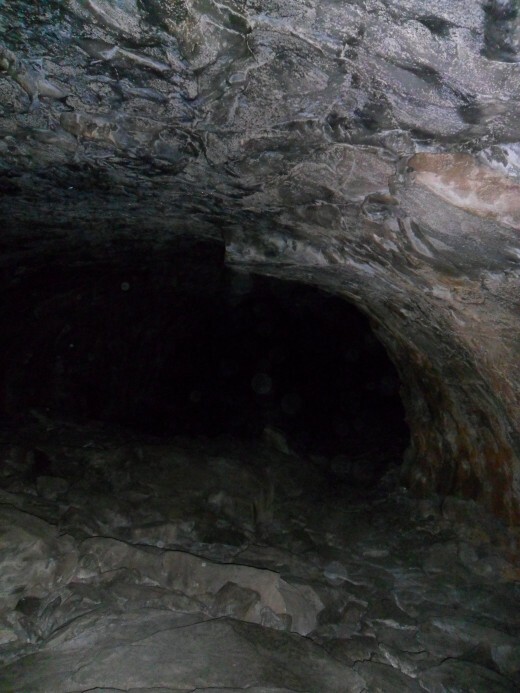 The Lava River Cave is really a lava tube. While not the easiest trail to find, it is well worth the effort. Lava tubes form when the outer surface of a molten stream of lava cools and solidifies creating a crust. The inner core remains molten and continues to flow leaving behind a cavity, the lava tube. The opening to the cave looks like it is in a massive boulder rock garden. After crouching down to enter the cave and scrambling down several (possibly 15- 20 feet or more) you reach the floor of the cave. At the floor you can stand. Caution: Once you get away from the opening, you are in total darkness. The lave tube is 3/4 to 1 mile long and the ceiling can be as high as 30 ft. The cave drops about 100 feet in elevation from the opening to the end. At no point in the hike did we feel cramped, crowded or claustrophobic. It was like walking in a large train tunnel. In fact, a family with small children used patience and coaxing to get the kids down from the opening. Once they were in, they all did fine. If you go, plan appropriately. In addition to water, wear a jacket. It is cool (as low as 32°F at the opening) in the lava tube. Wear good closed-toe shoes and consider gloves because you will be grabbing onto rocks and the walls, floor and ceiling are rough. It will be dark in there. Bring a flash light with fresh batteries. Ideally, bring at least 1 for each hiker and a spare or 2. GPS: N35° 20' 32.1714", W-111° 50' 8.196"
More information on this hike is available at Hiking Undergound in a Lava Tube. 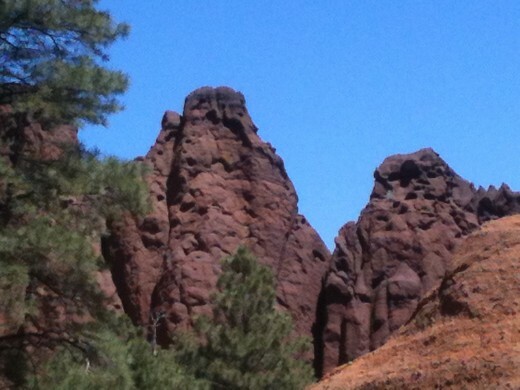 My favorites were the hike to the hoodoos of Red Mountain and the lava tube. 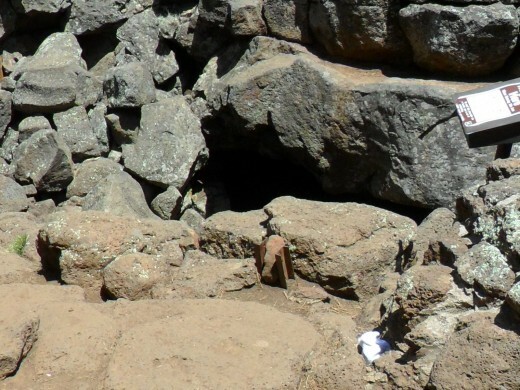 Take some headlights, gloves and jackets if you go to the lava tube. Hope you get to visit again soon. I love hiking and live in Az. I'll have to keep some of these in mind when choosing my next day trip. Scottsdale, thanks for stopping by. We enjoy visiting Flagstaff and Sedona. Great job. You used lots of my photos. It is Thurston Lava Tube (not thirsting) on the Big Island. Sorry about the typo, fat fingers on an iPhone with autospell. Leahlefler, I'm glad the Hub brought back fond memories. 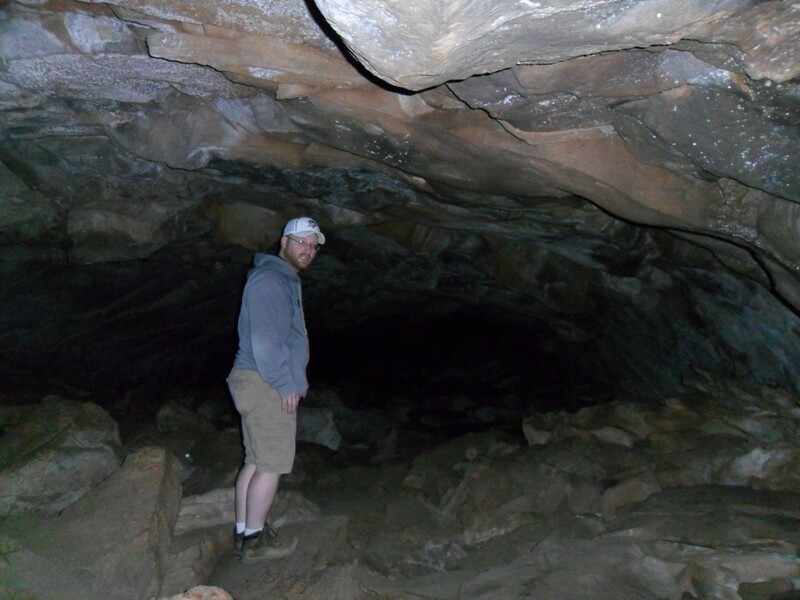 Check out the lava tube next time you are in Flagstaff. 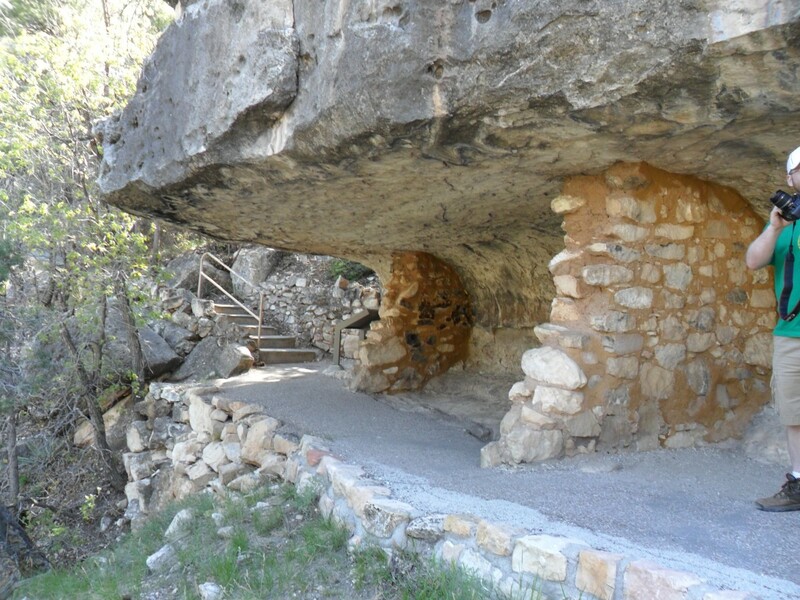 I love the Walnut Canyon cliff dwellings - I went there years ago and was so impressed! Sunset crater is fabulous, too. I miss living close to that area - we would go camping in Flagstaff every year when I was a kid. I never went into the lava tube, so I'll have to put that on my list for the next time we visit! Outbound Dan, thanks for checking out the Hub. I figured the lava tube would interest you. Thirsting lava tube is in Hawaii, but it is smaller and has lights. Too commercial. This was my first attempt at a TOC. Took me a little while to figure out that you can't test links on an unpublished Hub. I kept getting bad links until I published. 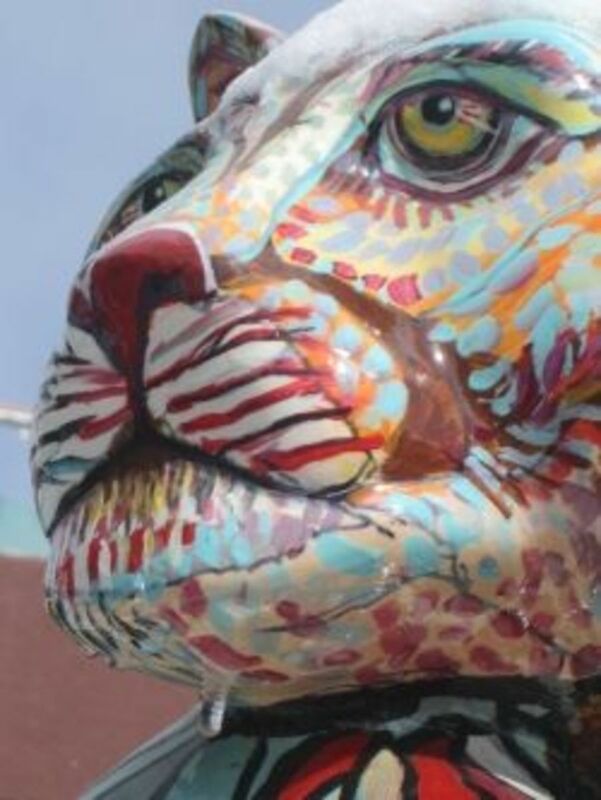 Great informational article with outstanding pictures. 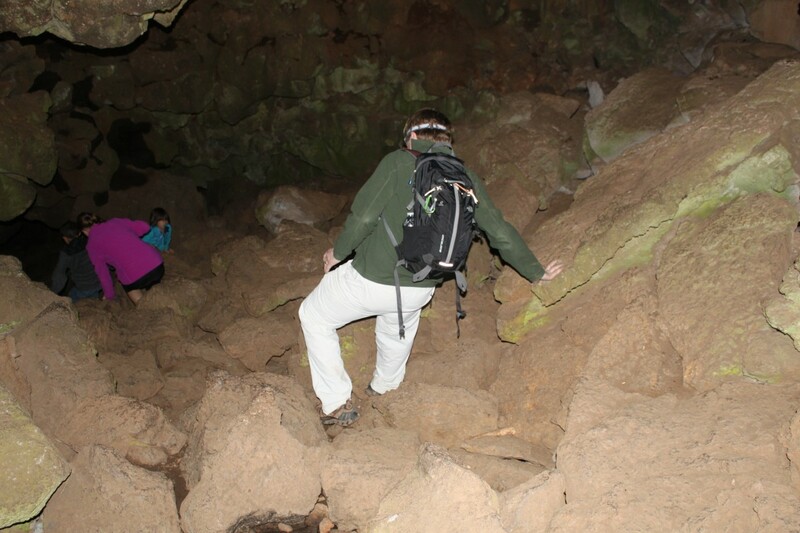 I can't say that I've ever hiked in a lava tube before - that is quite cool. 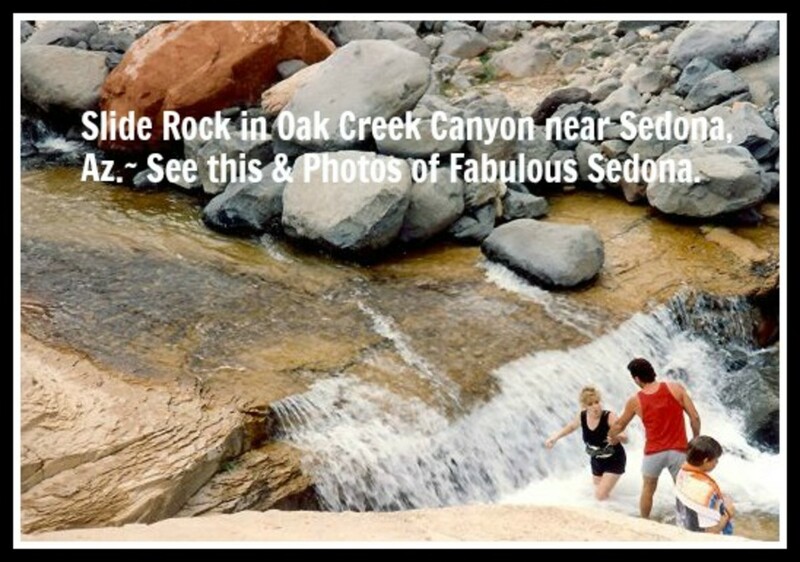 If I ever make my way down to Arizona, I know a couple of places I can go hiking now. By the way, a very cool use of the Table of Contents - it makes it very easy to navigate especially if you are looking for a particular trail.